Colour is a serious matter and related to a woman’s complexion. If you have pale skin, avoid handbags with blazing colours that will mute your spirit; instead go for softer coloured handbags perhaps with subtle texture. If you like sunshine and have dark skin, your best company on the beach will be a symmetrical patterned handbag. An important thing to remember is that you should avoid using handbags that are a similar colour to that of your skin as this will increase your volume and make you fatter. Opt for the size of handbag that matches to your figure. It is not very pleasing to the eye when a petite lady carries a giant handbag or, inversly, when a big lady carries with her a tiny handbag. 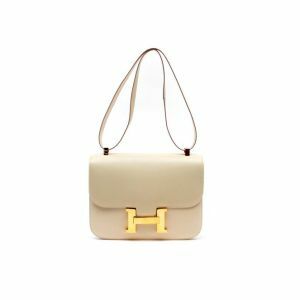 Additionaly every time you purchase a handbag, remember to adjust its strap or handle; the best length will mean sitting it under the arm at the breast level and close to mid-torso thus minimizing the waist size. If the handbag doesn’t fit your figure, let it go. Similarly, the shape of a handbag should not counter-balance your body shape. 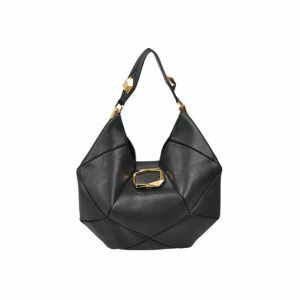 If you are a petite lady, using a posh round handbag will refine your exquisite image. If you carry a few extra pounds, carrying an edgyer, rectangular handbag that can divert focus to your stronger image.